The annual celebration of Maine's plant-based culture will also feature chefs, the film 'Orchard Revolution' and a competition. The first creature Gene Baur rescued was a sheep thrown on top of a pile of dead animals. Baur discovered the sheep, still very much alive, at stockyards in Lancaster, Pennsylvania, in 1986. Later named Hilda, she was too weak to stand when Baur and fellow activists pulled her from amid the dead and decaying bodies of sheep, cows and pigs. The animals were tossed behind a sprawling complex that, in its heyday, was the stopping point for all Midwestern livestock headed for slaughter in big northeastern markets, including Maine. 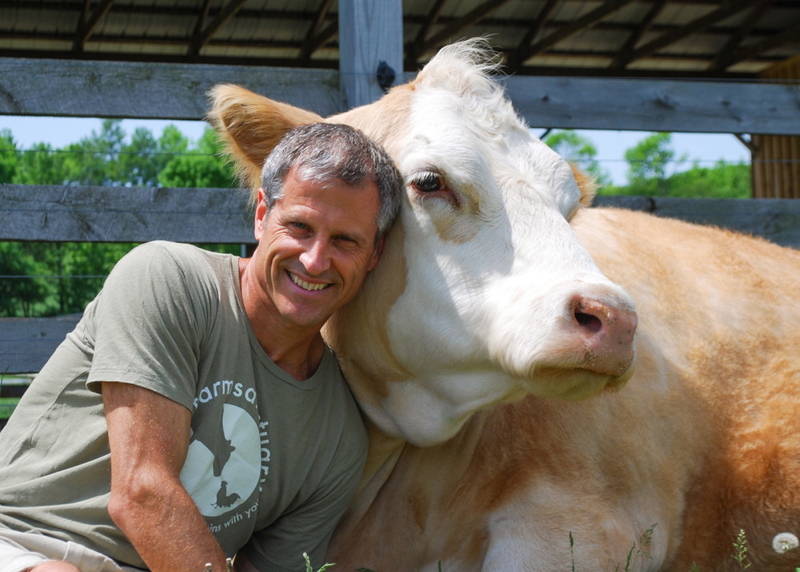 FOR MORE information about Gene Baur and Farm Sanctuary, visit www.farmsanctuary.org. The group also has a new website with recipes, cooking videos and shopping tips: V-lish.com. Baur, now 51 and the Washington, D.C.-based co-founder and president of Farm Sanctuary, will be in Portland on Saturday as the featured speaker at the Vegetarian Food Festival. The annual celebration of Maine’s plant-based culture takes place at the East End Community School from 11 a.m. to 3 p.m. Admission is free. Hilda’s rescue marked the beginning of the fledgling nonprofit Farm Sanctuary, which began rescuing more farm animals, clandestinely videotaping factory farm operations and advocating on behalf of all animals raised for human food. Baur famously paid for these early efforts by selling vegetarian hot dogs at Grateful Dead concerts. Hilda, it turned out, was only suffering from heat exhaustion. She became the first resident at the Farm Sanctuary shelter in Watkins Glen, New York. Hilda made a full recovery and lived another 10 years grazing in the farm’s rolling pastures. The Lancaster Stockyards didn’t fare as well. Farm Sanctuary brought a cruelty lawsuit against the stockyard in Hilda’s case that was unsuccessful, but its operators were ultimately found guilty of animal cruelty in a landmark 1993 case involving the treatment of a cow unable to walk. The verdict began the stockyard’s decline; it closed in 2006. A few years later the derelict pens, stalls and barns were razed and an office park was built on the site. Meanwhile Farm Sanctuary, with Baur’s leadership, has grown, becoming a major national player in the debate over animal rights. With assets of more than $10 million, the nonprofit operates two additional farm animal shelters in California. All together the three shelters care for more than 1,000 rescued animals. Farm Sanctuary played a key role in passing California’s 2004 foie gras ban, and it was part of a coalition that supported a successful 2002 effort in Florida to pass a constitutional amendment banning the use of tiny crates for pregnant and nursing pigs. Years of lawsuits and lobbying by Farm Sanctuary helped bring to light the fact that injured and diseased animals were regularly being slaughtered for food, and the U.S. Department of Agriculture banned such practices after the first U.S. case of mad cow disease in a “downer” cow. None of this would have been possible when Farm Sanctuary was first formed. But, he said, many people reject factory farm practices, once they know about them. Baur and the generations of activists who have followed in his footsteps have brought those practices to light. Baur’s interest was born from his concern for the environment. 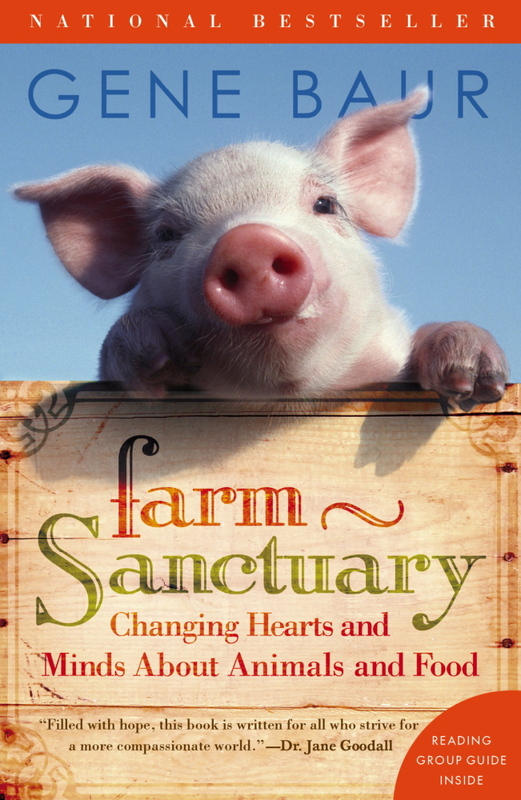 These days Baur, who is also the best-selling author of “Farm Sanctuary: Changing Hearts and Minds About Animals and Food,” spends much of his time traveling and speaking about the ongoing plight of farm animals. Baur is scheduled to speak twice, at 11:30 a.m. and 1:30 p.m., at the Portland festival. Seating is limited and organizers expect a full house. Other talks include “Vegan on the Cheap” at noon, with chef Toni Fiore, co-star of Delicious TV’s “Vegan Mashup,” and the show’s producer, Betsy Carson. The day’s first event, at 11:15 a.m., is “Simple Food for the Good Life” with Doris Groves and Taylor Peinhardt from the Good Life Center in Harborside, the former homestead of back-to-the-land gurus and vegans Scott and Helen Nearing. This year marks the 10th anniversary of the festival, which is hosted by the advocacy organization Maine Animal Coalition. The group decided to host the first Vegetarian Food Festival in 2005 because similar festivals were cropping up across the country but no one had hosted one in Maine, said Beth Gallie who serves on the coalition’s board and has led the festival effort since its inception. The first event took place in the fellowship hall at the historic State Street Church in Portland and attracted more than 80 people. In recent years, the festival has drawn nearly 800 attendees. New this year is a Vegan Iron Chef competition. From 1 to 3 p.m., two teams of amateur cooks will transform a surprise basket of ingredients into an entree and a dessert. Modern Vegan chef Chris McClay is organizing the friendly competition and will judge the contest along with Fiore and Lisa Silverman, owner of the Five Seasons Cooking School. McClay said the Vegan Iron Chef competition is meant to showcase that time spent in the kitchen should be fun. “It will show that everybody can be creative without recipes,” McClay said. The documentary “Orchard Revolution” will screen from 1:30 to 2:45 p.m. Produced by Portland filmmaker Matthew Byron, the film documents the efforts of local people to plant fruit and nut trees and build awareness of the obesity epidemic. Byron will speak following the screening. In Maine, where a new generation is once again seeking to live off the land and raise their own food, Baur sees potential – along with ethical pitfalls – in the homestead movement. While Baur and Farm Sanctuary advocate a vegan diet, they also encourage people to just eat less meat.